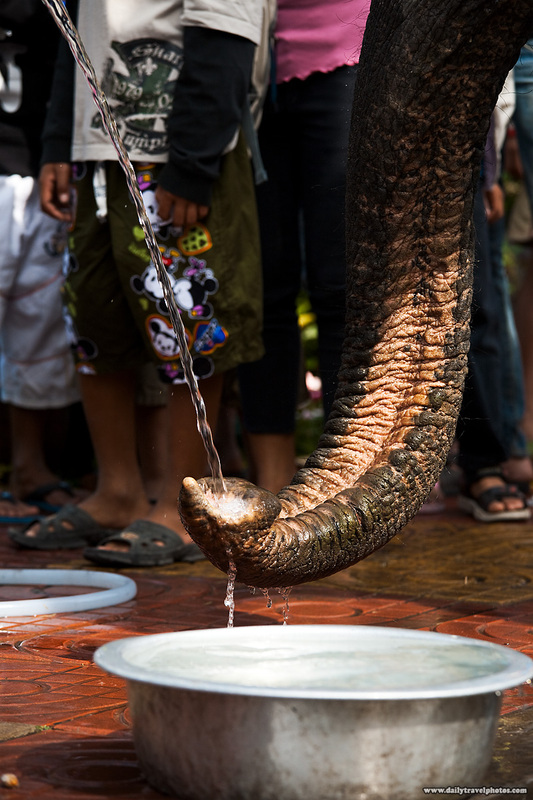 A bucket of water is ignored as an elephant prefers to drink direct from "the tap." Frankly, I'm not sure why this elephant needs to show off and drink while curling his trunk like that. He could've simply caught the water w/o showing all the other elephants up and drawing a massive crowd. 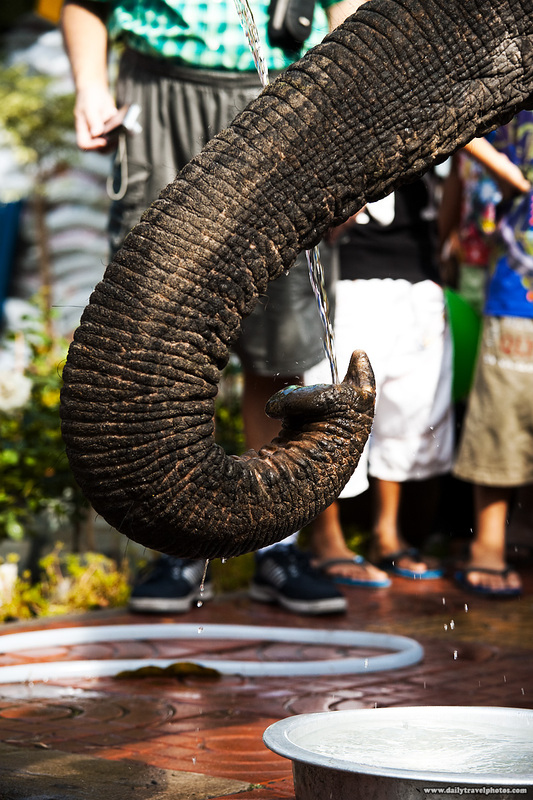 An elephant catches water in his trunk directly from a hose.